Android Emulator is the software complex, that realises the functionality of the Android OS basing on the others systems (Windows in our case). The emulator in its essence can be realized in two ways. The first one is a real system image virtualization. The second way is a partially implementing of the OS functions, for example, to run some games and applications. If only the most basic functionality is implemented, it is often said that it is not an emulator but the Android Simulator. 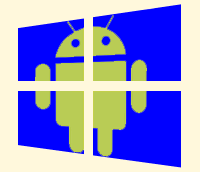 You can find the Chinese Android version 4.4.2 (KitKat) emulator Windroye, which works on the principle of real system virtualization at this page. In addition it has a number of additional features to simplify work with Android on computers with a real keyboard. added snapshot and shake hot keys. Sega Emulator: Gens A Software emulator of the popular in the 90 years video game consoles of Sega company . It allows you to run most of the old games as well as a real console. Also the emulator has a number of improvements, which were not even in the classic console, simplifying the process of passing and diversify of almost any game. Linux Emulator: KDE for Windows Installer A free software emulator of the Linux operation system for your Windows. LiveCD Emulator: MobaLiveCD A free software LiveCD emulator which allows to run an additional operating system directly to the PC's RAM without a beforehand installation. Virtual disc: DAEMON Tools Lite Free application for virtual discs creating and working with them. DAEMON Tools Lite also supports image-files created with other programs (Alcohol 120%, Nero etc. ).